2. Police will seize your property without a seizure notice. 3. You will not say anything against the state otherwise u are killed. 4. You will have no right to assemble with like minds, unless church gatherings. 8. Most Student unionism against government will be suspended. 10. The state will not be obeying court orders. 11. Phone calls and watsapp to be closely monitored and arrest those speaking against the government. 15. Private Radio and TV stations to be closed down or forced to air pro government news. 16. People’s human rights to be suspended. 17. Negative facebook comments to be well followed and punish those against the government. 18. 90% of UPND senior members starting from the ward levels up to national levels to be arrested. 20. Known on line media owners who are against the government to be arrested. 22. People will not be allowed to move at night. 23. No public or private vehicle (except for soldiers and police) will be allowed to move at night. 24. Only passenger trains will be allowed to move at night. 25. Road accidents to sharply increase due to over speeding in trying to beat time. 26. 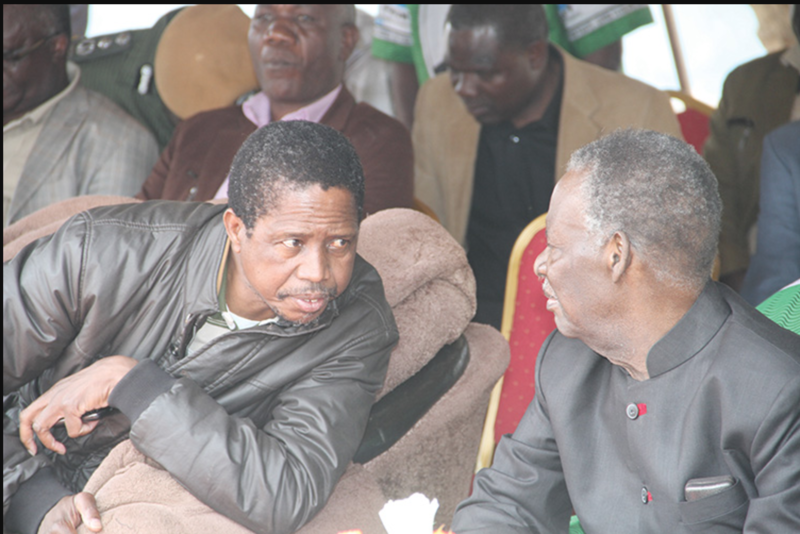 Civil; Servants that are slightly opposed to the PF regime to be fired without warning. 27. Civil Service to be filled by people that support the ruling party. 28. No opposition member will be allowed to speak against the government. 29. HH to be taken to Mukobeko where he will be until after 2021. 30. All those arrested for opposing the government will remain in prison without trial for 5 years. 31. Police officers will get rich during this period as they will be free to raid people’s homes at night without notice; for fear of being arrested, the innocent person will have to pay huge amount of money to the police. No where to complain as human rights will have bn suspended. 32. The police will have powers to beat or kill people at night or during the day, people will have no where to complain to. 33. Soldiers and police officers will take over ZICTA to monitor phone calls and arrest people talking ill of the president. 34. There will be nothing like speaking against president Lungu whether at your home or anywhere. Once you are heard, you are arrested and detained for many years without trial. 35. The government will recruit over 5000 carders to in all areas across the country who will be reporting anyone speaking ill against the government or PF. 36. Internet access will be blocked in most times. 38. Many people who have to flee the country. 40. Government officials especially ministers will steal state funds without anyone questioning them. 41.Many chiefs opposed to the government will be arrested. 42. No prominent church leaders will be arrested. 43. Preaching in church against the government will not be allowed. Pastors to stick to their sermons. 44. For teachers and lectures, telling/teaching students about dictatorship will lead that teacher to be arrested. 45. The president will perform in most times the function of the chief justice. 46. Top military and police commands to be dropped if they fail to follow orders from the president. 47. People to move with voters’ cards and NRC/passports and other relevant IDs to display to the police once arrested. Those with PF ids to be spared. 48. To be on the safe side, people travelling will have to carry with them PF chitenge material to display in the absence of valid ID. 49. No PF member with party’s card or campaign material to be arrested during this period. 50. More soldiers and police to be deployed in opposition stronghold. 51. Travelling by train will be more safer than by travelling by bus during this evil period. 52. Police will be beating people even by following them in places of work. 53. The target of arrests; Chief Mukuni, Chief Hamusonde, GBM, Nevers Mumba, UPND MPs and the entire leadership of UPND starting from the grassroots. 55. People will be teargassed, beaten and killed by police like no man’s business. 57.People will have to surrender their money to uncompromising police officers. Police officers and soldiers will be the richest, in the end president Lungu will fail to end it and may lead to full blown civil war and those supporting it now, will be the worst affected. 56. Remember, this semi state of emergence has no deadline, meaning it will even enter 2021 until the man will be inaugurated for the third term. 57. The government has now decided to embark on cheating people that what they have declared is not state of emergency but proclamation. Believe me, what was declared by President Lungu is a Semi State of Emergency with the same if not worse consequences with regard to human rights abuses. 58. Whether u like it or not, most people will have to be in their homes by 18:00 hours, and leave home only at 06:00 hours. 59. Make sure to move with money in case hungry police officers decide to arrest u without any crime, this may be happening in during the day. Use the money to bribe the police to free u, otherwise u can be thrown in police cells for years without trial. 60. Tell your mum, your relative to always move with PF chitenge material in the handbags, buy one if u dont have otherwise we are under a dangerous dictator. 61. 90% of UPND members and 75% of PF members will be directly or indirectly affected by this semi state of emergency. 62. Remember, president Lungu rushed to declared semi state of emergency without waiting for investigations to be concluded on the burring of the market. This means, investigators will be told what to report to the people, obvious they will say it was deliberately burnt by people. 63. Whether you like it or not, you believe it or not, the truth is; the suspending of upnd mps was well planned to implement this. 64. That the president refused to condemn the pf carders when they attacked and stole from the mourners at the graveyard, but quick to accuse upnd of burning the market without investigations. 65. Lungu’s declaration of semi state of emergency gives him special constitutional powers for seven days. If his statutory instrument is approved by Parliament, these can be extended for up to three months. Thanks to the Constitution’s ambiguous wording, it’s unclear exactly what these special powers entail: definitely the power to temporarily dissolve parliament, and probably also to impose a curfew, restrict freedom of movement and censor media. This is what you wanted as Zambians, by voting for this man. (i) Avoid talking ill about president Lungu and PF in pubic places other than yo bedroom.Many people will be given money to record u and have u thrown in police cells without trial where u will be for five years, u may even die without your relatives knowing and u will have no where to complain to. (ii). Don’t talk ill about President Lungu and pf on phone, all fon calls will be heavily monitored by soldiers trained in the use of technology. (iii). Facebook is the most sophisticated social media platform in the world where even the worst dictators have failed to trace their opponents. The only secrete when commenting please ensure that u hide your phone numbers and the place u are. If possible just change the profile picture and u will be more than free. People fear to comment on facebook due to ignorance. No dictator can trace u on facebook unless u are so carelss with your fon number. Hide yo real face and fon number and u can comment the way u want freely without any machine detecting u. Facebook is only controlled from USA. Even Mugabe and Museveni have failed to apprehend anyone co-mmenting on Facebook. (iv) Avoid commenting ill on Wats app because unlike Facebook, it (watsap) is rather too open, porous and many will be arrested for commenting negatively against president Lungu during the dark days for Zambia. Facebook is the most safe. (v) Phone calls/messages are the most unsafe in Zambia due to ZICTA. But not Facebook. Facebook is the safest. Be aware of people bringing stories about president lungu, some may just want to have u implicated. If any police officer is your enemy, count yourself unsafe, anytime u can be attacked and abducted. Semi emergency force citizens to treat police officers like kings. Traffic police’s income will triple as they will be collecting huge bribes. Don’t say i didn’t warn you. At first i warned u of imminent declaration of this semi state of emergency and here we are, it has come to pass. Now, i am warning u of the consequences and it will be up to u to ignore. The consequences of this Semi State of Emergency will not only affect UPND members but even a lot of PF members. Please, be on your knees for this country. Lets pray for mother Zambia. This is a curse! Senior police officers stealing from juniors…..